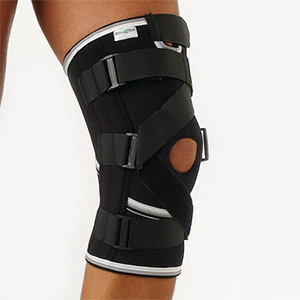 The Relaxsan Ortopedica line includes a range of products for the wellness and the well-being of the body, as for example elbow supports, knee bands, orthopedic corsets, elastic bands. Relaxsan Ortopedica range is divided in different groups of products, according to their aims. Elastic Thermal Underwear for men, indicated for muscle aches, arthritis, lombaggin, inflammation of the kidneys. Elastic Thermal Underwear for women, indicated for muscle aches, arthritis, lumbago, inflammation of the kidneys. Thermal bands suitable for treatment of lumbar and back, cold and inflammation in general. Bandages Tubular elastic support given during rehabilitation, after plaster bandages, after operations. Indicated for back and lumbar support, for hard work, for incorrect postures and after surgery. 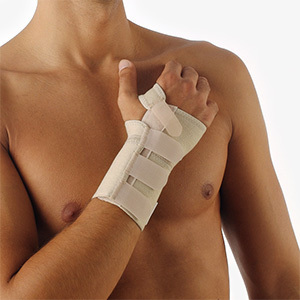 These articles are suitable for all cases where it is required immobilization of the wrist. The supports for knees and arms are used to stabilize the knee and arm. 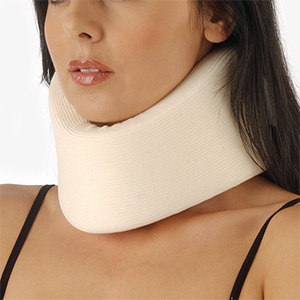 The cervical collars are normally used in those cases where they are needed the immobilization of the head and neck. RelaxSan products are completely designed, manufactured and packed in Italy ensuring a high quality standard. Calze G.T. has a quality management system complies with regulations UNI EN ISO 9001:2008 and UNI CEI EN ISO 13485:2004. All products are Oeko-Tex certified to ensure the absence of harmful substances to guarantee the health of our customers. All product have CE Mark Class I Medical devices and comply with the essential requirements and provisions of EEC Directive 93/42. Copyright © 2014 Calze G.T. S.r.l.